a YouTube Channel with a collection of videos about the most significant events and about the tools (in preparation) and a Facebook page. 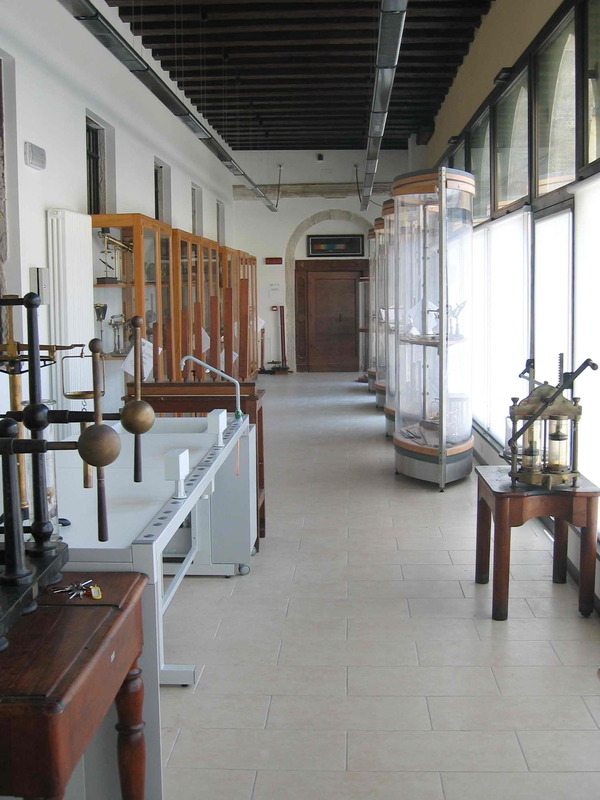 In 1994, Liceo Marco Foscarini organized the exhibition "A Nineteenth - Century Physics Laboratory in Venice" (curators: Professors Daniela Magnanini and Andreina Naletto) which dealt with the collection of didactic and experimental instruments of the Old Physics Laboratory. This temporary exhibition marked the beginning of a long and hard project: the recovery of the ancient physics instruments of the Liceo Foscarini, one of the oldest school in Italy, as it shows the celebration of its bicentenary in 2007. It was the hope of the headmaster of the time, Fabbri, that this initiative would provide the basis for a scientific museum in Venice. This dream has now been realized! The "Antonio Maria Traversi Physics Museum" opened its doors to the public on Saturday 20th December 2003 (curator: Pierandrea Malfi). The museum is dedicated to Abbot Antonio Maria Traversi, this institute's first headmaster, who was an excellent physicist as well as a teacher. He was the author of a "physics text book" in 7 volumes published in two editions in 1806-1809 and 1822, both preserved in excellent state into the library of the school and used, with other books, to realize some posters hung up to the walls of the Museum's room with old physics texts (the idea belongs to prof. Daniela Magnanini). 300 physics instruments are exhibited (out of a total of 453). These are either for didactic purposes or were specifically constructed for use in scientific research carried out by teaching staff during the nineteenth century. Over 60% of the equipment exhibited is in perfect working order, as witnesses the use of some instruments during the visits and during the presentations at the school today. The guides of the groups are a few students of the school: they have attended a formation course organized by the Museum Direction with positive result.